Each October, individuals and organizations nationwide work together to raise awareness of bullying during National Bullying Prevention Month, an initiative of the PACER Center. Whether you are an educator, education leader, parent, or other community member, you can take action to prevent bullying and harassment by fostering a culture of caring and respect in your school, home, and community. Use the resources below to support your efforts. The resources from StopBullying.gov address detection, preventive strategies, and effective responses. How do you know if a child is being bullied? Keep an eye out for these warning signs. Need to know what actions to take? Review these effective responses to bullying and prevention strategies. "Bullying: A Module for Teachers," from The American Psychological Association, includes a useful tip sheet, "Myths and Facts about Bullying," that addresses beliefs about school bullying not supported by current research. It's also important to know the bullying hot spots within schools in order to prevent it. NIOS videos and NIOS activity guides and lesson plans from Not in Our School (in partnership with Facing History and Ourselves). Anti-bullying lessons and activities from Teaching Tolerance. PreK-12 lesson plans and book suggestions from the Anti-Defamation League. Classroom materials and media related to bullying and ostracism from Facing History and Ourselves. 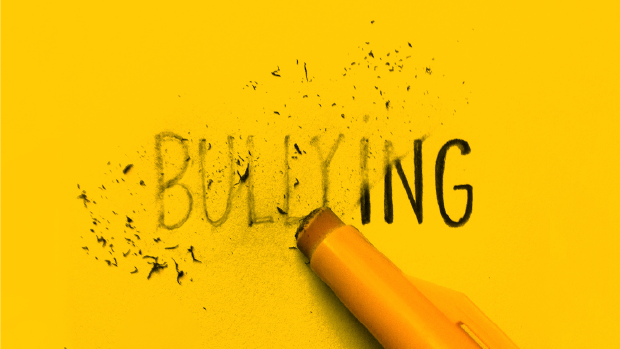 Lesson plans to counteract cyberbullying from Common Sense Media. Lesson plans on bullying, bias, and diversity from Gay, Lesbian, and Straight Education Network (GLSEN). An Educator's Guide to Combat Bullying & Bully Prevention from teacher.org. PACER’s five-step guide, Unite Against Bullying – School Event Planning Guide, provides helpful information on working with students to plan bullying prevention events. The PACER Center's web pages on Student Action and School Action showcase examples of actions taken by students and schools to prevent bullying. "Creating a Safe and Caring Home" from NSCC includes guidelines for parents to help children feel safe and create positive environments for children. To better understand what parents should expect from schools and what parents can do, read "What Can Be Done to Stop Bullying?" from NBC News' Education Nation. GreatSchool's "Making Your Child’s School Safe and Supportive" details specific questions parents can ask principals or other school leaders about how a school handles issues like social and emotional learning; teaching respect; and preventing bullying, harassment, and exclusion. The "10 Facts Parents, Educators, and Students Need to Know" from Pacer’s National Bullying Prevention Center contains "Notifying the School About Bullying — Using a Template Letter" for parents needing to communicate with schools about bullying incidents, including templates for parents of children with special needs. What are some ways you can initiate conversations with your children about cyberbullying? Common Sense Media's Cyberbullying Topic Center provides comprehensive parent guides on everything parents need to know, organized developmentally by age and stage. If you are a parent of a teen, you may also want to review their "17 Sites and Apps Kids Are Heading to After Facebook," newly updated for 2016. In addition, the downloadable tip sheet, "Technology and Youth: Protecting Your Child From Electronic Aggression," from the Centers for Disease Control and Prevention (CDC) and the "Prevent Cyberbullying" page from StopBullying.gov include advice on specific actions parents and caregivers can take. Consider scheduling a staff viewing of the film "BULLY." The BULLY Project has developed a toolkit to accompany the DVD that includes an in-school public viewing license, as well as a number of helpful tools and resources, including "A Guide to the Film BULLY: Fostering Action and Empathy in Schools." You can gather information to assess your current school climate with a tool such as the Comprehensive School Climate Inventory (CSCI) from the NSCC. There are several websites that have compiled examples of successful anti-bullying approaches. Character Education Partnership has collected examples of promising anti-bullying practices from various schools in "Promising Practices to Combat Bullying"; a searchable database includes more anti-bullying ideas that have been successful at other schools. The website for ASCD's The Whole Child initiative includes Elementary, Middle, and High School examples of anti-bullying approaches. Finally, check out "Successful Community Efforts to Prevent Bullying" where Becki Cohn-Vargas shares anti-bullying efforts that include students, faculty, parents, and the larger community. Restorative-justice approaches focus on repairing damage, rather than on blame or punishment. In "Restorative Justice: Resources for Schools," Matt Davis has collected several guides for implementing restorative-justice programs and links to helpful resources and articles. "Using Dialogue Circles to Support Classroom Management," a resource from Edutopia's Schools That Work, explores how dialogue circles, as part of the restorative-justice program at Glenview Elementary School in Oakland, California, have helped to build collaboration, respect, and positive behavior among students. Another useful source of information on this topic is the Center for Restorative Justice at Suffolk University. Organizations such as the Collaboration for Academic, Social, and Emotional Learning (CASEL) have a number of well-researched reports and other resources on their website to combat school bullying. Download and read the full 2009 CASEL report, "Social and Emotional Learning and Bullying Prevention." Programs like Roots of Empathy that teach perspective-taking skills and empower children to fight cruelty with empathy and kindness have shown effectiveness in decreasing aggression and increasing pro-social behaviors among students. The Empathy 101 videos, tips, and school examples from Ashoka’s Start Empathy website include ideas for cultivating empathy in the classroom and at home. For more ideas about how you can foster environments of kindness, empathy, and connection, both inside and outside the classroom, check out VideoAmy's "Five-Minute Film Festival: Nine Videos on Kindness, Empathy, and Connection" and Lisa Currie's "Why Teaching Kindness in Schools Is Essential to Reduce Bullying" from Edutopia. Parents may want to explore Edutopia's curated list of blogs, articles, and videos for parents about fostering kindness and empathy (as well as resilience, perseverance, and focus) in children: "A Parent's Resource Guide to Social and Emotional Learning." StopBullying.gov describes Risk Factors for bullying, including information about at-risk populations such as LGBT youth and youth with disabilities and special health needs. At the website for GLSEN, you'll find a wealth of anti-bullying resources for addressing anti-LGBT bullying and harassment; make sure to download GLSEN's report "From Teasing to Torment: School Climate in America — a National Report on School Bullying." The Special Needs Anti-Bullying Toolkit from The BULLY Project includes resources for educators and parents related to children with special needs. "Suicide and Bullying," an issue brief from the Suicide Prevention Resource Center (SPRC), discusses the relationship between bullying and suicide among children and adolescents, including recommendations, with a special focus on LGBT youth. Initiatives like The Trevor Project focus on crisis and suicide prevention among kids in the high-risk LGBT student population. All teachers should review the Trevor Project's list of warning signs.